Address: 309340 Belgorodskaya obl., pos. Borisovka. Zapovednik Les na Vorskle, in the southern part of Belgorodskaya Region, was established in 1925. Its area is 1 thousand ha, and it acquired its present-day boundaries in 1995. 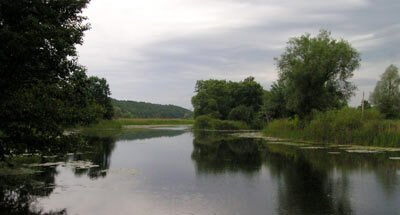 The Zapovednik is situated on the high bank of the Vorksla river, tributary of Dnepr. 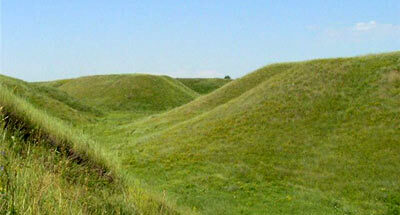 It includes the adjacent plateau, dissected by lies and ravines. The highest elevation is 217 m above the sea level. The plant cover is formed mostly by an "upland" oak forest, about 80-100 years old, typical of the forest-steppe. About 160 ha is a unique massif of a 250-300 year old oak forest. The forests have a complex layer pattern, consisting of the English oak, the maple, linden, ash, crab apple, and common pear. The plant cover of the forest glades is peculiar, with mesophytes, xeromesophytes and steppe species prevailing. 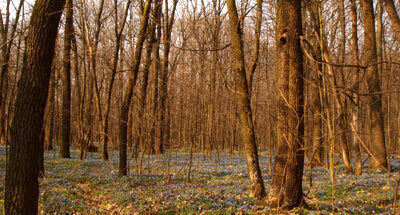 The flora has 550 vascular plant species, and more than 900 fungi. The fauna is typical of the forest-steppe, including the European roe deer, moose, wild boar, red fox, badger, stone marten. the European hare. The raccoon dog has been acclimatized. Among the nesting birds the black kite is common, less frequent are the buzzard, the goshawk, booted eagle, raven. There are colonies of common heron. Insects are diverse and numerous, including rare as the common stag beetle.